Rep. John Lewis told the Atlanta Journal-Constitution he is canceling is trip to the new Mississippi Civil Rights Museum because he doesn't want to share a stage with President Trump. But the Georgia congressman said he would reconsider if Mr. Trump decides not to attend. "Right now we're not going," Lewis told the Atlanta Journal-Constitution. "But there's a possibility that the head man may not show up, may cancel." Earlier this week, Lewis expressed doubts as to whether he could "live with myself" if he was on the program with the president at the ribbon-cutting event in Mississippi. After the events in Charlottesville, Virginia, in which Mr. Trump blamed "both sides" for the violence. 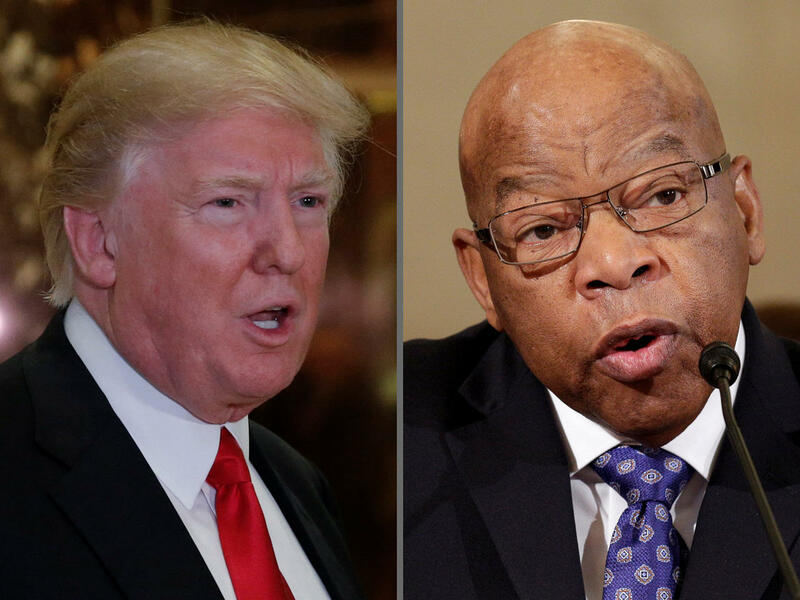 Lewis said Mr. Trump's attendance would "make a mockery of everything that people tried to do to redeem the soul of America and make this country better." Rep. Bennie Thompson, a Mississippi Democrat, also will not attend, and released a joint statement with Lewis on Thursday. The two cited Mr. Trump's "disparaging" comments about various individuals groups who have contributed to making Mississippi a "better place." "After careful consideration and conversations with church leaders, elected officials, civil right activists and many citizens of our congressional districts, we have decided not to attend or participate in the opening of the Mississippi Civil Rights Museum," they said in their statement. "President Trump's attendance and his hurtful policies are an insult to the people portrayed in this civil rights museum. The struggles represented in this museum exemplify the truth of what really happened in Mississippi. President Trump's disparaging comments about women, the disabled, immigrants and National Football League players disrespect the efforts of Fannie Lou Hamer, Aaron Henry, Medgar Evers, Robert Clark, James Chaney, Andrew Goodman, Michael Schwerner and countless others who have given their all for Mississippi to be a better place. After President Trump departs, we encourage all Mississippians and Americans to visit this historic civil rights museum." "We think it's unfortunate that these members of Congress wouldn't join the president in honoring the incredible sacrifice civil rights leaders made to right the injustices in our history. The president hopes others will join him in recognizing that the movement was about removing barriers and unifying Americans of all backgrounds." Lewis, a key civil rights figure, has long been a critic of Mr. Trump, and vice-versa. In January, Lewis said he didn't see Mr. Trump as a legitimate president. In response, Mr. Trump said Lewis — who organized protests against racial discrimination in the Jim Crow-era-South, was "all talk, talk, talk — no action or results" and called Lewis' district "crime infested." Lewis decided not to attend the inauguration. UPDATE: As reflected in an earlier version of this post, the Atlanta Journal-Constitution originally reported that Rep. Lewis referred to Mr. Trump as a "hit man" because their reporter misheard the congressman. Lewis had instead called Mr. Trump a "head man."